The follow-up to The Semester of Our Discontent finds Lila Maclean setting into her new teaching career at the prestigious Stonedale University in Colorado. The university "Arts Week" is to be headlined by the famous author, Damon Von Tussel. Von Tussel is celebrated for his first (and only) book. After years of not publishing, he has a new book in print. Most of his time in the intervening years has been spent behaving in a difficult and caddish manner. Of course, as he and Lila's flamboyant artist mother had a romantic relationship at one time, the chancellor thinks Lila is just the person to make sure Von Tussel behaves. Famous last words. The first event goes off without a hitch but Von Tussel simply vanishes afterward. It's time for Lila to call for her mother in hopes that she still has a way to reach him. 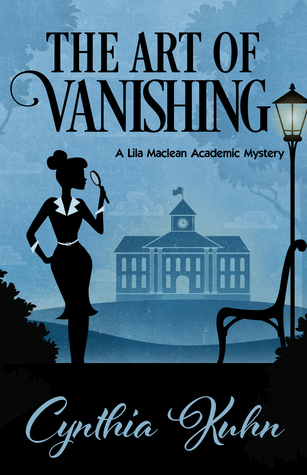 There is someone on campus, however, who seems to be motivated to scuttle the Von Tussel appearances; valuable items go missing, cryptic messages are received, and people are injured in strange "accidents". I find this series easy to read and different from most cozy mysteries due to its academic setting. I always knew that academia is cut-throat in its demands to "publish or perish" and political infighting. The corporate world has nothing on academia in that regard. While I like Lila, I find her a little passive and easily dominated. She just seems to stumble into solutions rather than actively seeking them out. I did enjoy meeting Lila's mother after hearing so much about her in the previous book. Thanks to NetGalley and Henery Press for an advance digital copy in return for an honest review.